This beautiful Genova plan is resort living at its finest. The home even offers a PRE-PAID Solar System that produces an average electric bill of only $26/month! The home is situated on a premium homesite near a private walking trail. Step inside and the attention to detail is everywhere. Over $260K in custom builder upgrades. The home offers an extended casita your guests will love. The kitchen is well equipped with stainless steel appliances, double oven, built-in refrigerator and custom wood detail to create the perfect space for entertaining. Step out back past the rolling wall of glass to a space you'll want to spend all your time. 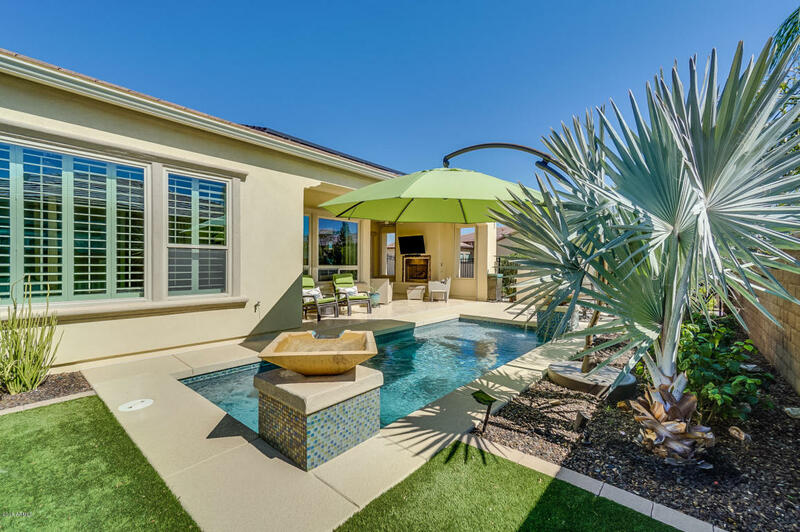 Private pool, built-in BBQ, gas fireplace and automated sun screens make this home look and feel like luxury. Start enjoying Encanterra today!